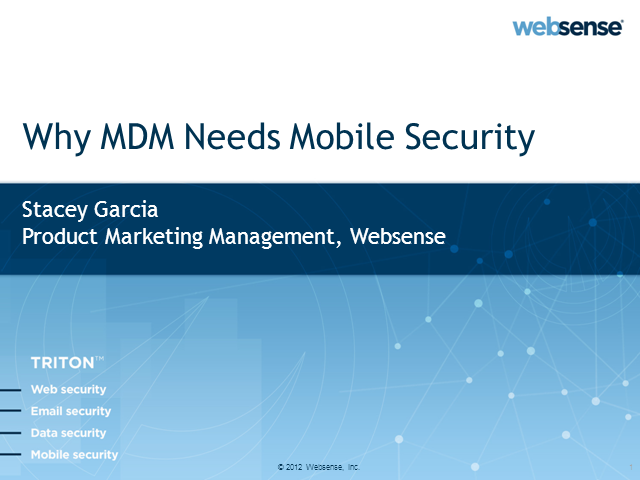 The consumerization of IT is hitting hard and Mobile Device Managment (MDM) needs mobile security. Personal and corporate-owned devices are flooding the workplace. Companies need to secure these devices, and they are turning to Mobile Device Management (MDM). But an MDM solution will not address your primary concerns around securing your data. Learn how to safely allow mobile devices in the workplace while protecting against mobile threats and data loss.